I first came across the Yoga Brunch Club on a blissful sunny morning at Wilderness Festival. 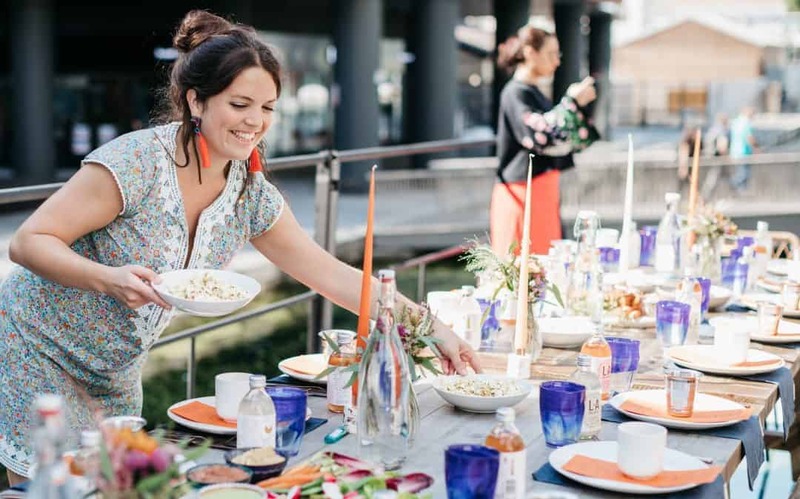 After an hour’s gentle yoga, a group of us gathered around beautifully decorated wooden trestle tables in the sunshine to tuck into a super healthy and delicious brunch. We laughed so much and met some wonderful people, all of us now wonderfully relaxed and feeling really good. It was such a lovely way to ease into the day. 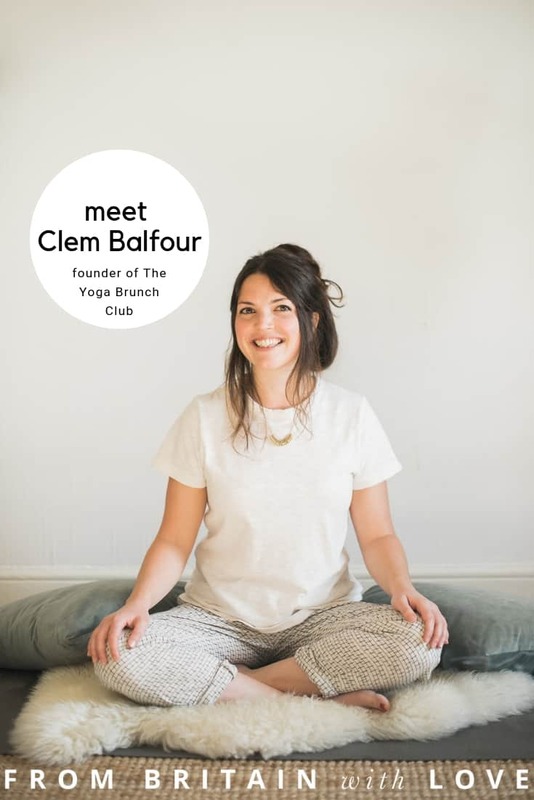 The woman behind the business is Clem Balfour, and I wanted to know more about her and her story and inspiration. 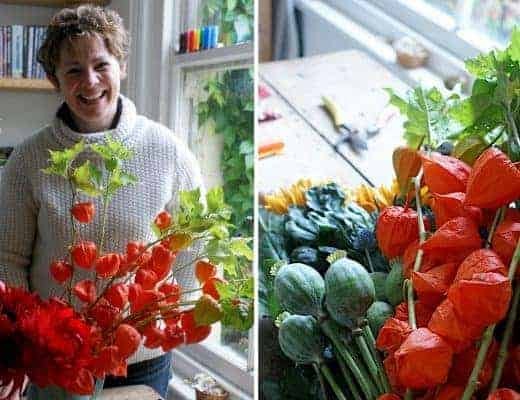 So I asked if she might like to share a little bit about her journey and creative process as well as one or two simple pleasures and local finds. 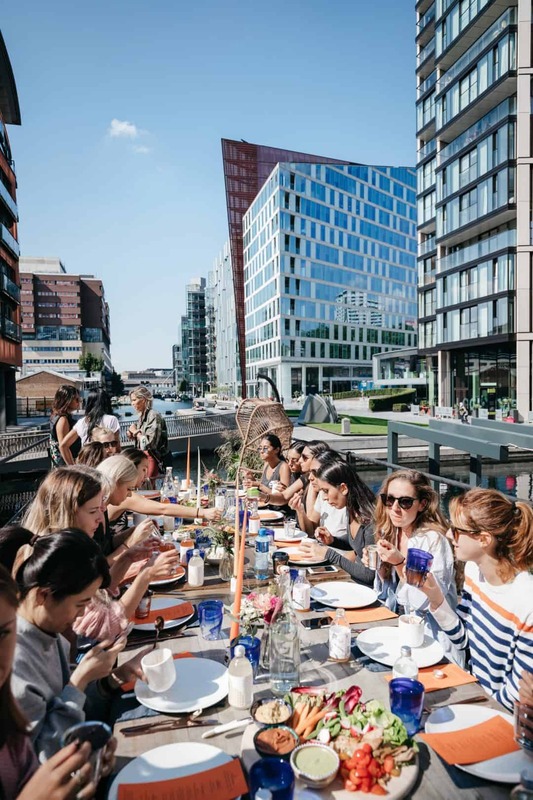 I love how Clem brings people together to share the good things in life: well-being, delicious food, simple beauty and human connection. I hope you enjoy reading Clem’s answers as much as I did. I’m founder and owner of the Yoga Brunch Club, a business I started over four years ago now. I realised early on that Yoga can be intimidating to people who have never tried it or feel they aren’t ‘flexible’ enough. And I wanted to create a space where yoga could be more accessible to all, when I first started teaching I wanted to encourage friends to give yoga a go. 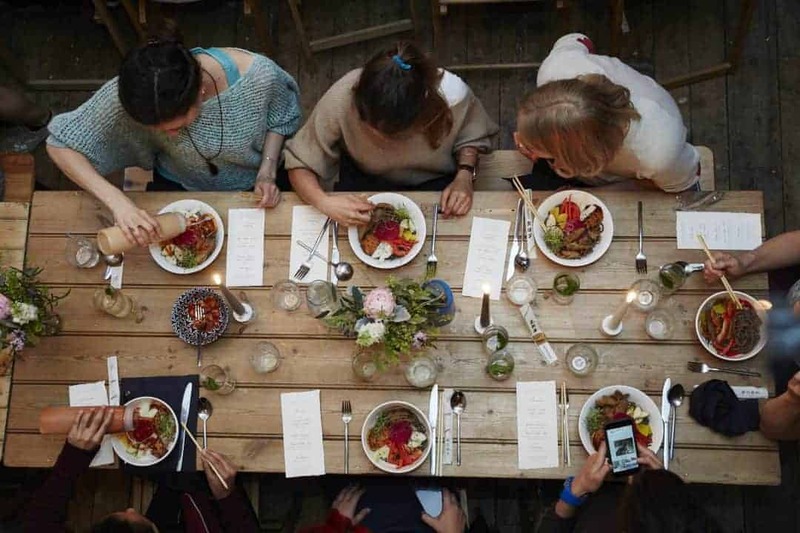 I ran classes at a community space around the corner from my house in Brixton, where I would cook up different themed meals at home and serve them up post yoga in the cafe next door to the venue. 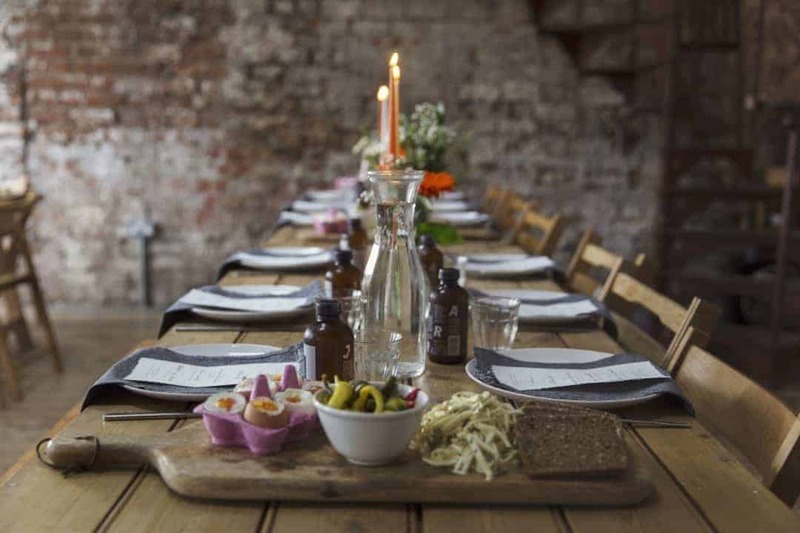 It was such a lovely way to spend an evening, doing yoga and then sitting around a table chatting over some delicious wholesome food, from here I went on to build on the idea of The Yoga Brunch Club. I have a background in events management and as a food obsessed yogi I decided to combine two of my passions: food and yoga. I realised that there was a gap in the yoga world for this. 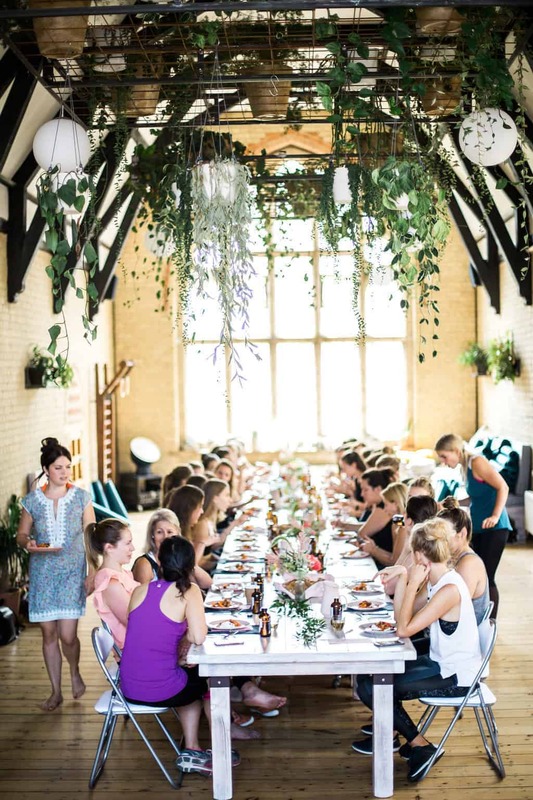 Often after a yoga class you roll up your mat and head home, I wanted to create a space where yoga could be fun and social, where people come to practice and then stay to eat, chat and socialise. 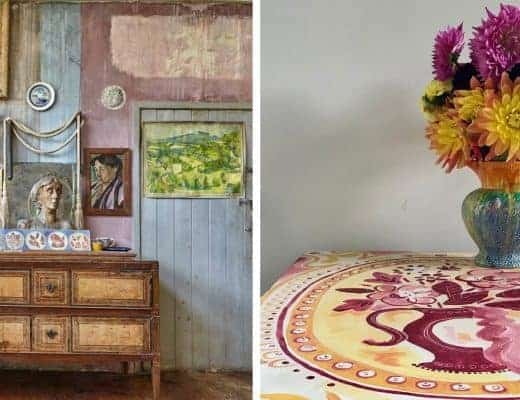 The events are really popular and now run monthly in London and Bristol and I am hosting my first day and weekend retreats next year. 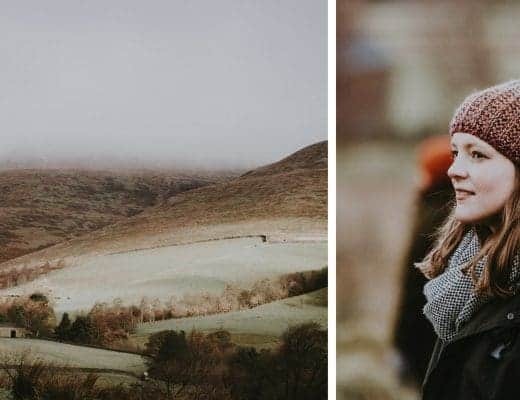 The Yoga Brunch Club runs in beautiful locations around the UK, starting with a mixed level vinyasa or yin and yang class open to all levels. 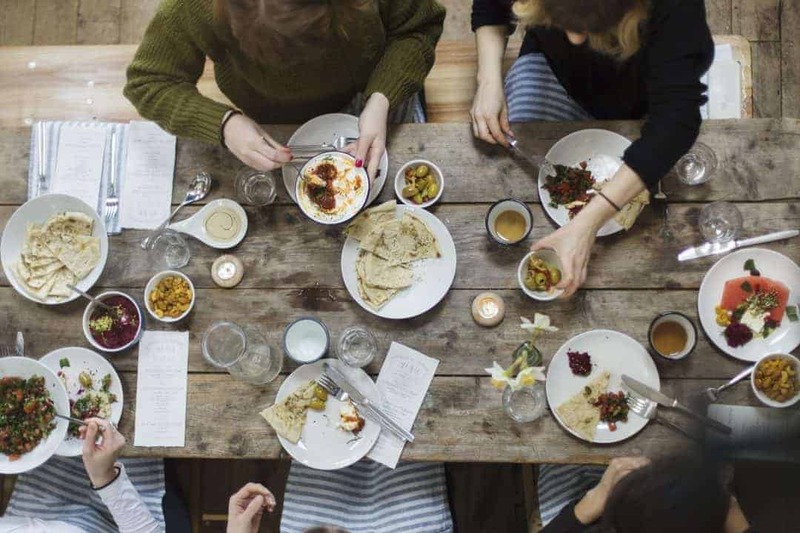 The food is a key part of the experience, collaborating with great chefs and supper clubs to provide a post yoga feast, collaborations have varied from seasonal British chefs to Sri Lankan, Indian, Vietnamese and middle eastern themed brunches. I want people to come away feeling like they have tried something new so that might be the yoga or a new dish or cuisine. There is something pretty incredible about practicing yoga in a large group and beautiful space, there is an incredible energy that is created in the room. The food is then all dished up in large platters, served family style down long trestle tables, it’s the weekend so no one has to rush off to work or needs to be anywhere else, people leave feeling relaxed and ready for the week. YogaBrunchClub from Yoga Brunch Club on Vimeo. This video gives you a taste of what Yoga Brunch Club is all about. The connections made at each of the gatherings are what makes these so special. I have so many yogis that come back each month, often people come on their own and have great conversations which then leads on to wonderful friendships. I have had so many stories from people who have met at my events and gone on to travel or take a holiday together. Which is the most wonderful thing to hear. With a background in events I do quite enjoy logistics, I love the start of the project when you get to choose how it’s all going to come together. I went to art school for University where I studied embroidery, so the creative sides of the work and the process are probably what I love best. 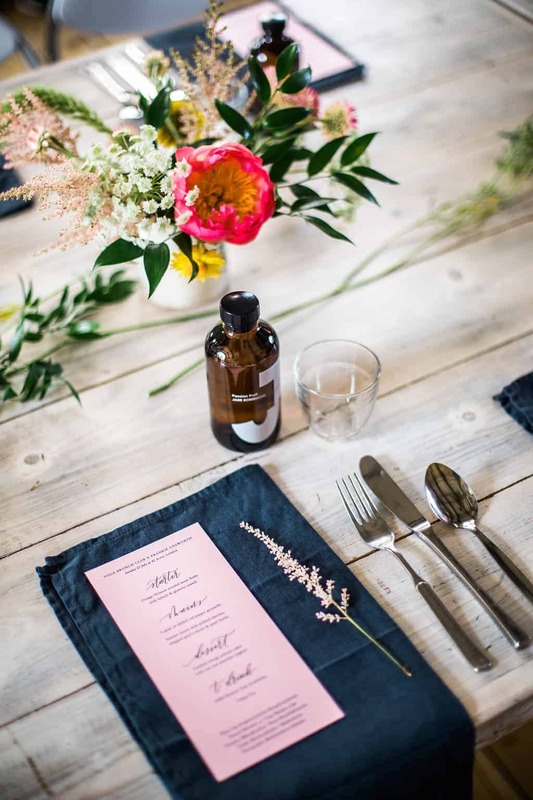 To create bespoke menus for each event and to help dress the table, I work with incredible suppliers, yoga teachers, florists and designers to create. I want the events to feel like a whole experience and treat for everyone that comes along. Each one is completely different from the cuisine that is served to how the space is set up and how the table is set so each one feels unique. Number crunching and spreadsheets are the bits I struggle with most of all, but I’m learning and getting there. 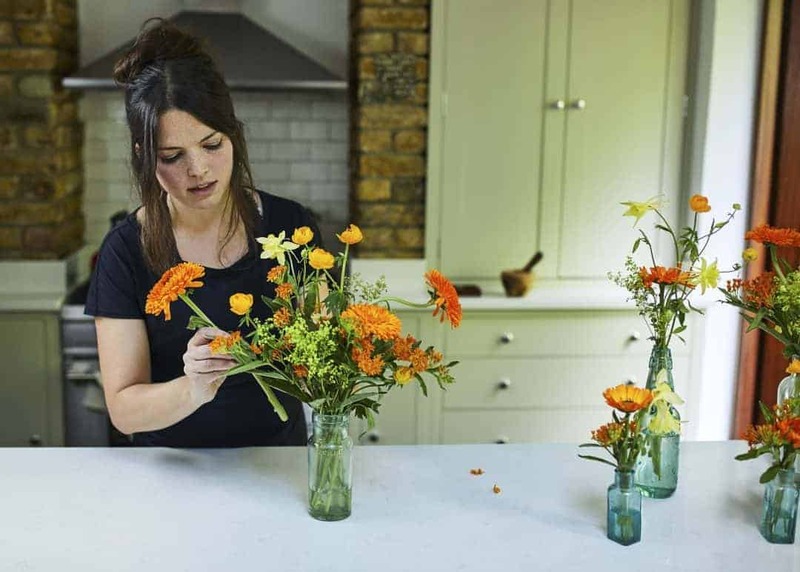 When your run your own business, you have to be on top of everything, even the things you are not the best at, but it’s all a good learning curve. With events the wonderful thing is that you get to see the end product of all your hard work, and you know the creation is finished when everyone is sat there with beaming smiles and soaking it all up. I love to start the day with either a yoga practice at home or a morning run. It’s so important to begin my day with some movement before anything else as it helps me to focus and get out the house. I work from home and get to work most days by 9.30am. I’m a real breakfast person, and don’t function very well without it. I like to sit down and eat a good breakfast, normally in the week this will be a bowl of porridge with fruit or toast with a boiled egg or peanut butter with bananas. I love being in charge of my day and my own boss. Although it can be hard sometimes to stay focussed and stick to a strict schedule. I try to get out of the house at points in the day for a meeting or coffee. We live in Bristol which is a freelancer’s hub so there’s great cafes to work in when you need a change of scene. I try to get any writing and emails done first thing and afternoons are more focussed on planning, research and organising future events. To get everything up online and selling, I work 3 months ahead of time. Then I’m ready for the next one. Tea! I’m quite a tea addict- Yorkshire tea with a splash of milk gets me through most days. I do have a real sweet tooth so chocolate in the afternoon always helps. Starting the day with a short mediation even if it’s just 5 mins is so powerful. I use the insight timer which has some free guided mediations or the timer is a great tool. Read, go to classes, never stop learning. The great thing with yoga is you are always learning, I try to attend a training each year so I’m always learning and exposing myself to new teachings and approaches to the practice. This keeps it interesting for me and my students who come to my classes. I used to draw and paint every day when I was studying which is something I am keen to get back to. 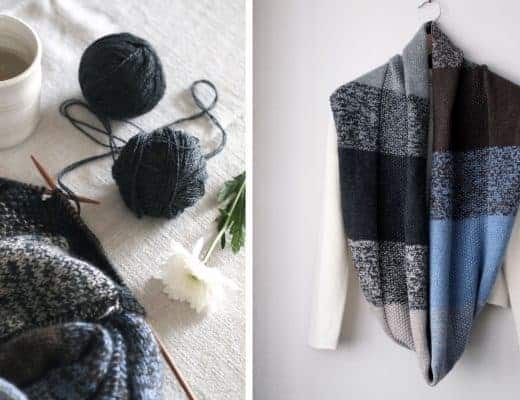 I think it’s important to have hobbies that have nothing to do with your work or your job as these can bring in new ideas and get you out of that stagnant or stuck phase. I try to take a break or work on something else for a while. Yin yoga is a beautiful practice which has helped me a lot with my meditation practice. In yin you hold postures from 2-20mins sometimes, after a pose you will come into a rebound state, almost like a mini savasana. 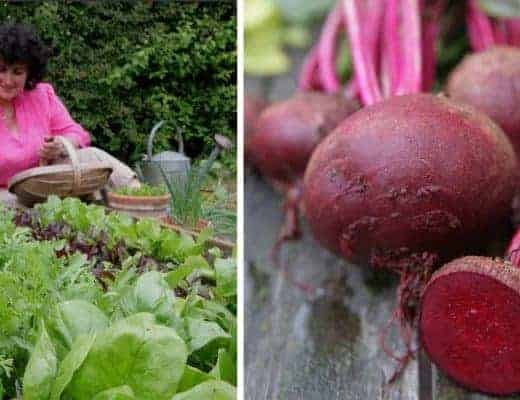 This is where you feel the full effects of the pose, there’s a release of energy, of the blood flow coming back to that area and its often very calming, peaceful and creates a whole new are of space in the body. If I’m struggling with creativity I know I need space, I need time and energy to allow the creative juices to start flowing again. I love to travel so if I had a long stint of working I’ll take some time off to recalibrate and come back fresh and feeling inspired again. I often think I’m the best version of myself when I’m exploring new cultures, and places and getting inspired by my surroundings. Chocolate, Peanut butter and Roast Chicken – not all at the same time but they hit the spot. A good crisp autumnal walk, to get the creative juices flowing. An open fire, red wine and time at home- these are all things that help me feel more grounded. It’s so important to get out of your comfort zone, to find that space that’s just beyond what feels comfortable. As that is where you know you are going to grow and learn so much more about yourself, which you can then bring to your work. I like to feel challenged and to feel like I’m moving forward so I never become complacent or bored in my work. I absolutely love what I do but it would be easy to stand still sometimes. With so many wonderful people coming back to all the events I’m always looking to create new experiences that I know I would love and hopefully they will too. Bristol is a really creative and buzzing city. There’s graffiti and street art all over the city so it feels vibrant and alive all the time. You can walk or cycle pretty much everywhere so there’s no need to rely on public transport. The food scene here is incredible, from daily markets and street food stalls to fine dining and great cocktail bars and breweries. It really has it all. 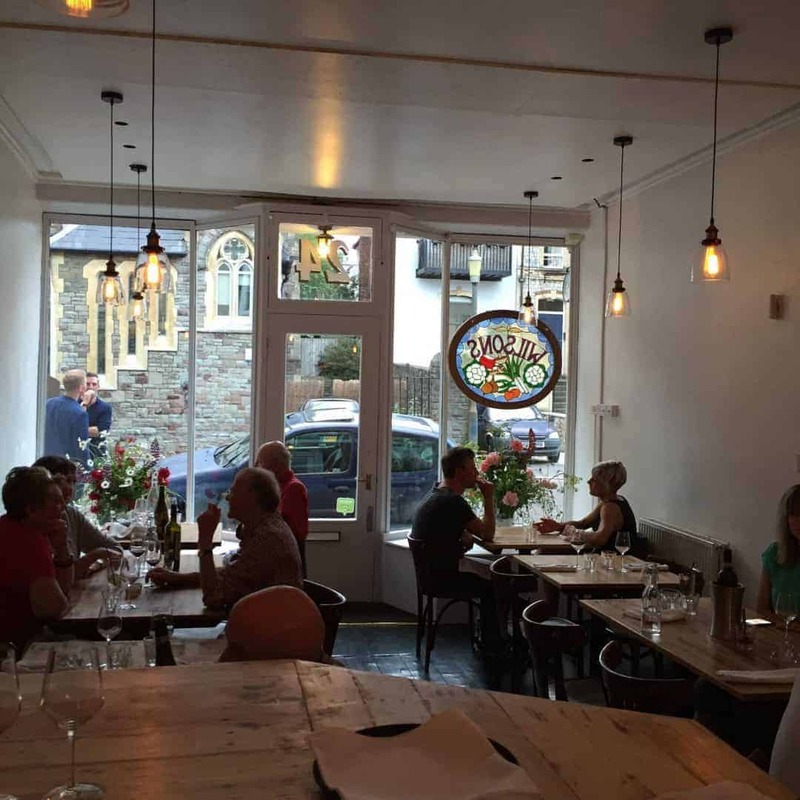 Dela in Easton is one of my favourite places for a great brunch, coffee, cocktail or dinner. 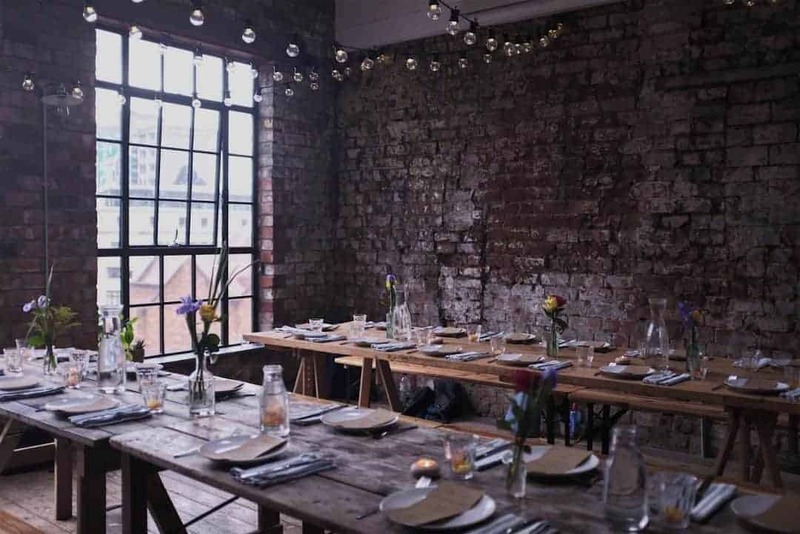 It’s a Skandi inspired restaurant started up by Lara and Mike last year. 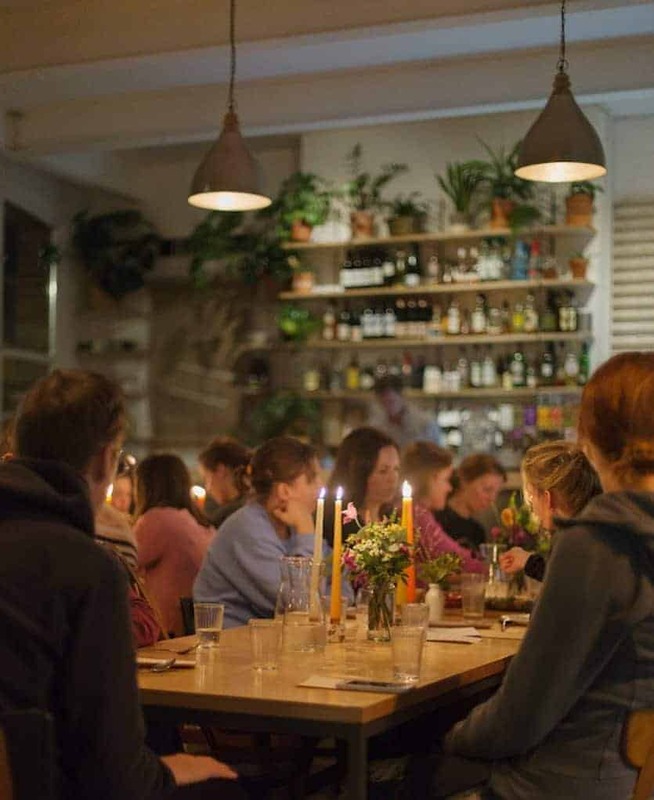 I have run two Yoga Supper Club’s there now and they’ve both been very special. 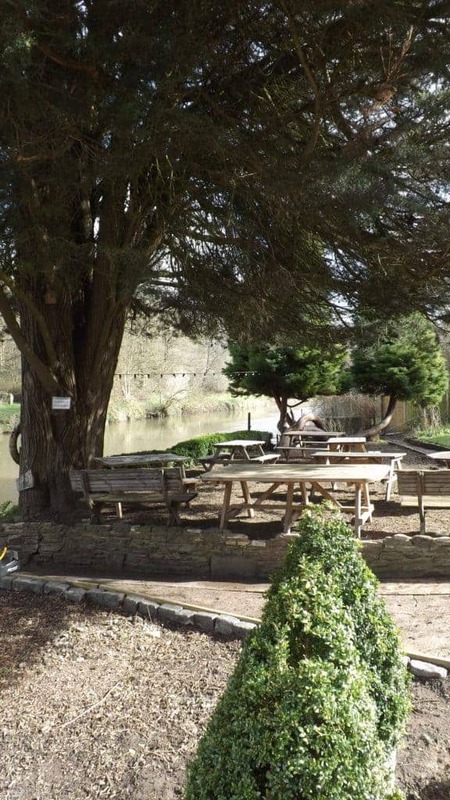 Also Beese’s in the summer, you can get a boat there from Bristol’s harbour side and sit by the river and have a pint or a cream tea. 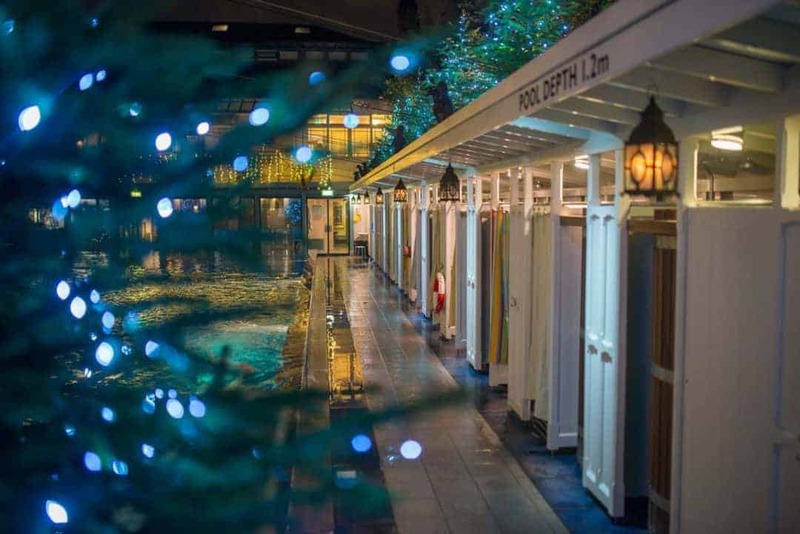 The Lido in Bristol is the most tranquil beautiful space, it feels like a hidden oasis. You can go there to swim or sit at the café by the side of the pool and watch the world go by, they do great tapas too! Mid-week: At home with my fiancé , cooking up a lovely dinner with wine and having a few friends over. Weekends: Maybe out for a cocktail and delicious dinner if it was a going to be a treat Wilson’s on Chandos Road is fantastic or pasta Ripienca in the centre. 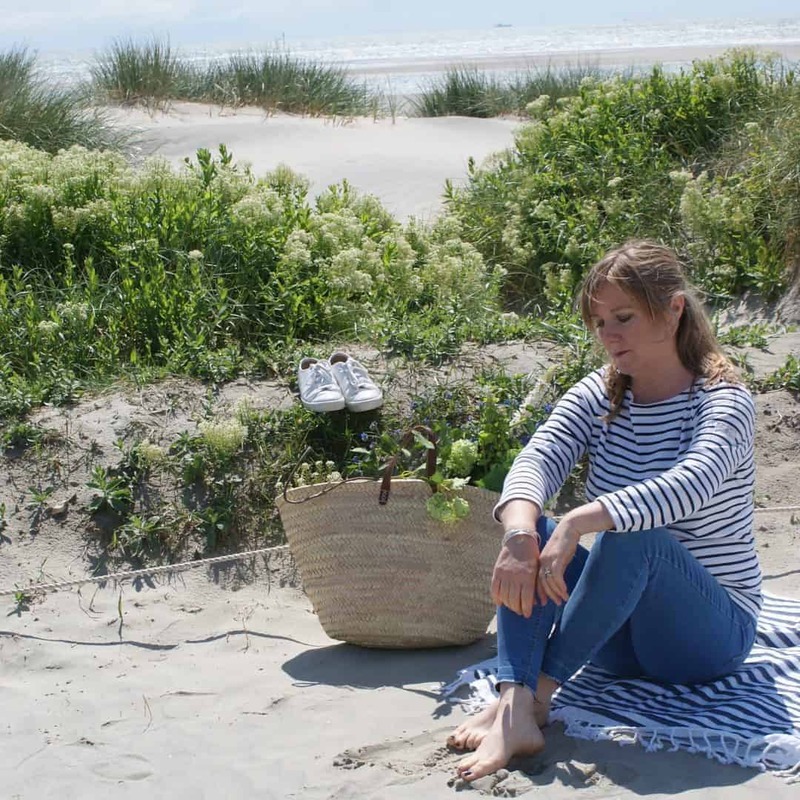 & Other Stories and Fox and Feather for clothes at the moment and for food Gloucester Road has a great selection of independent veg and fishmongers. That’s a hard one – I would probably say some of my sketchbooks from my travels, there’s drawings and paintings in there that instantly take me back to those moments, the smells, the textures and everything that was there. I always make sure to pack my travel yoga mat with me wherever I go. The Lake District feels like a second home to me as I spent so many summers from my childhood there. It’s got a very special place in my heart and I still try to go there walking every year. One of my favourites would be Great Gable, it’s an epic walk and if the weather is on your side the views are breath taking. Nothing quite beats that feeling of a British picnic of sandwiches and a hot flask of tea when you get to the top. Hope you enjoy this National Trust film I found about Sylvia and her love of Great Gable. As I mentioned before I’m keen to get back to drawing and painting again. I took a long break from this but have a real urge to start fulfilling that creative side of myself again. Not for work reasons or anything else, I just feel it is important to have hobbies in your life. Walk around and find all the best graffiti in the city. 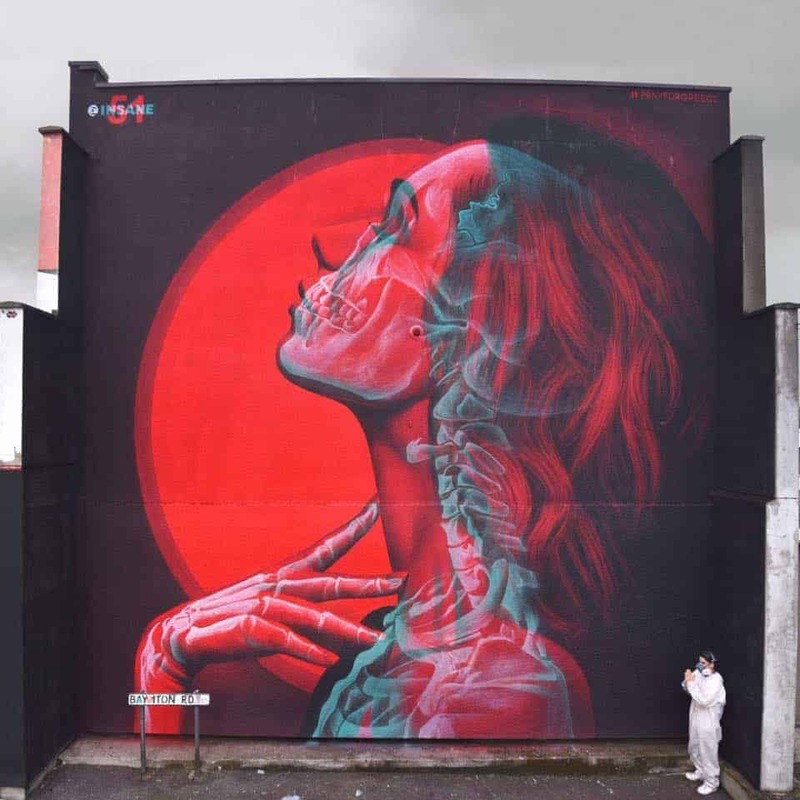 There is a great festival every year here called Upfest where street artists come and paint the city’s walls. Best local place for rummaging vintage finds? Frome each month has a very good independents market with great vintage and antique shops. In Bristol there is Loot Vintage or some great finds on Gloucester Road especially for furniture. Can you sum up your ethos and what inspires you? I think it’s important to feel passionate and have a passion in your life. It doesn’t matter what you decide to do for work or how you approach it. As long as you have passion you can dream, and inspire, create and feel fulfilled. I’m big fan of Ercol. 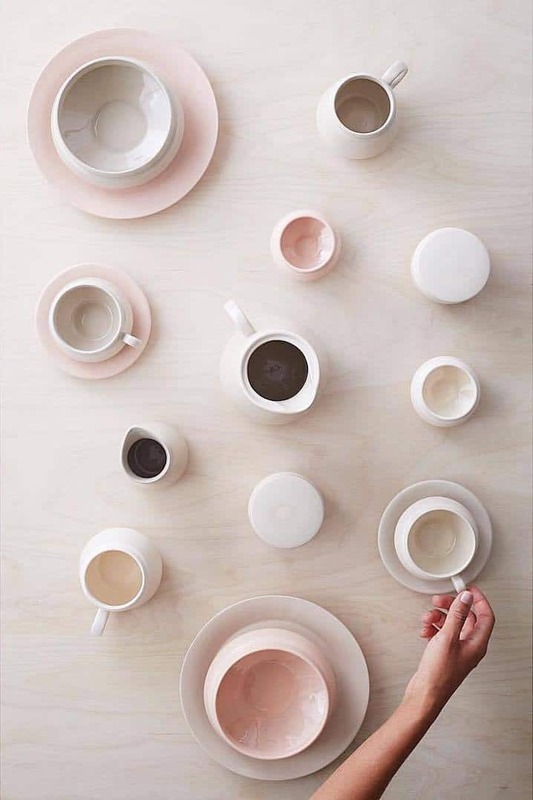 With my brunch club’s I have had the pleasure of working with some very talented ceramicists who supplied beautiful ceramics for guests to eat brunch off. 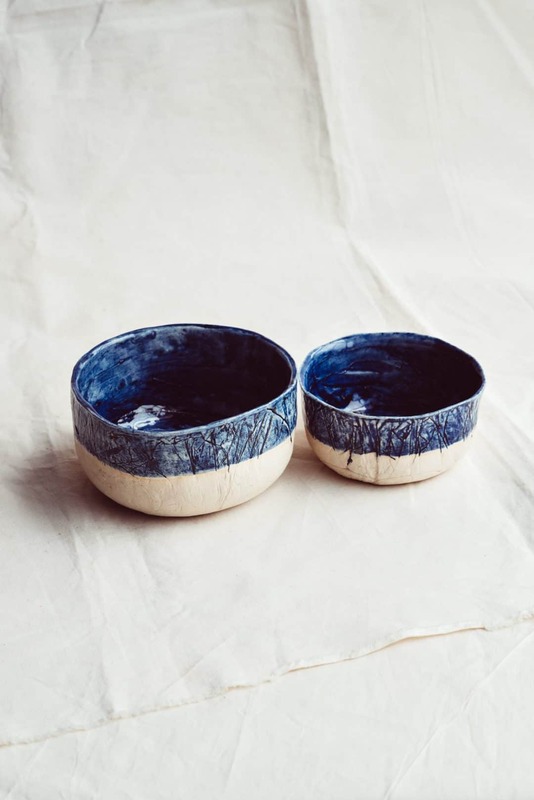 Kana London is one of my favourite ceramists, I use her blue breakfast bowl every time I make porridge and I know how much effort went into the design that I take the time to put the effort into making my breakfast. 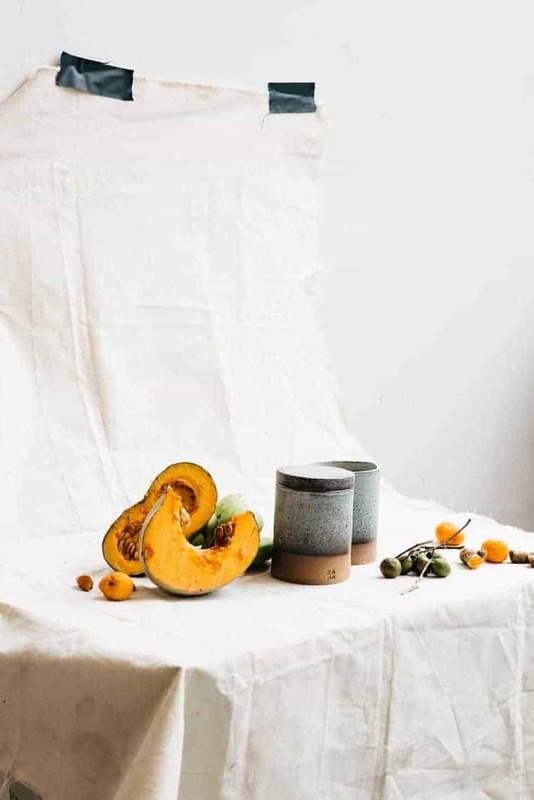 Hend Krichen too creates stunning bowls, plates and coffee jugs in very unique colours and textures. 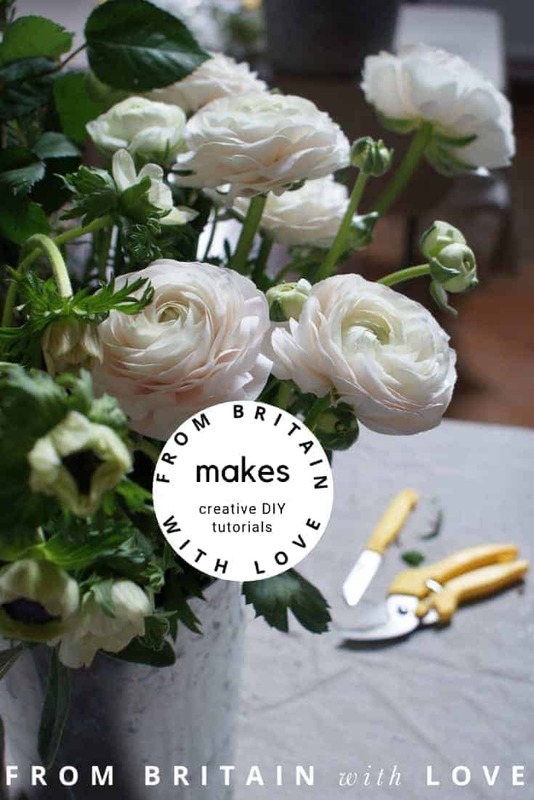 How important is making in the UK to you? 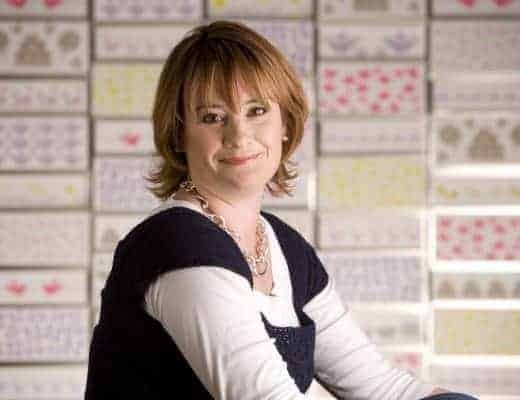 It’s wonderful to buy and use products and designs made in the UK as you know where they have come from. I was in Devon last month and bought myself a handmade leather handbag from a local tradesman. 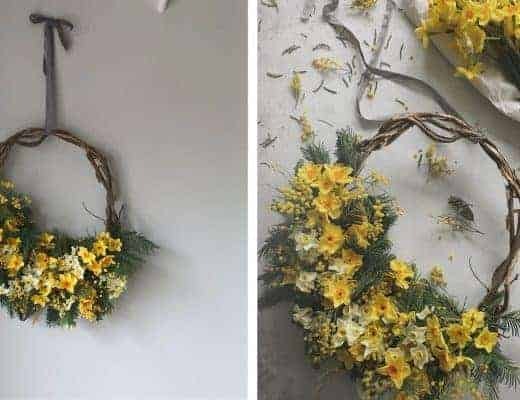 It was clear how much time, passion, love and skill had gone into the piece. Best place to escape to in the British Isles? The Lake District or the Cotswolds. There are some brilliant pubs and hotels to stay in the Cotswolds. 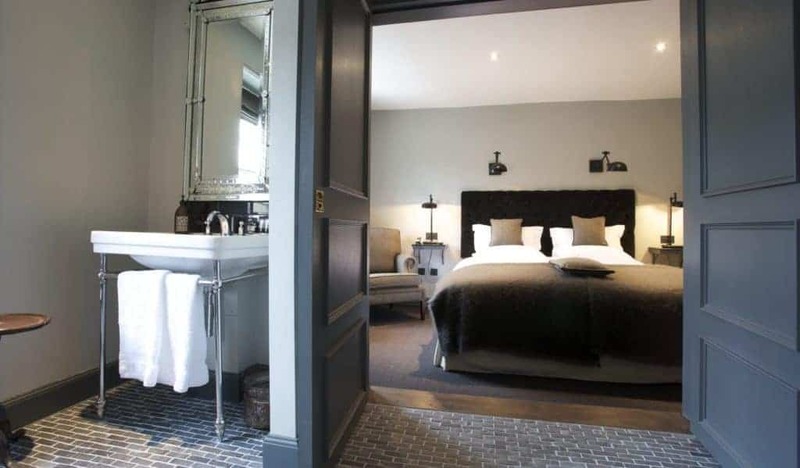 My boyfriend and I went to The Wheatsheaf Inn in Northleach for a weekend break in August – look out for their Sunday sleepover deal. Stop being in a rush to have everything figured out. Always know that when you create space for something new it’s going to be worth it, even if it feels scary as hell. Trust, love, take those mad leaps of faith make space for new jobs, work and places as often they will be the making of the next chapters of your life. Fall in love with people whose main aim is to make you laugh till your tummy hurts. The Great British Bake Off or really any cooking show. Being present, not over thinking or over worrying about things that are out of your control. Telling those around you every day that you love them and not forgetting that. Your goals for the future? To keep learning, to travel as much as I can and to make sure I spend as much time enjoying life as working.